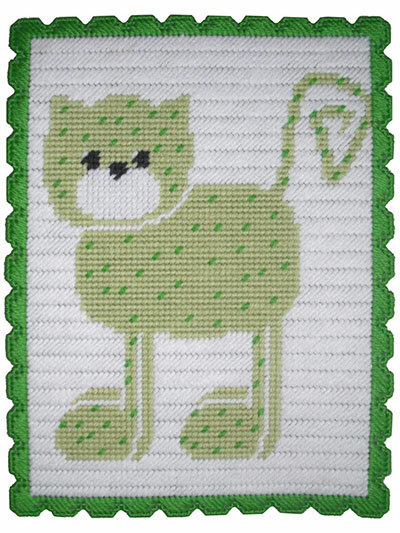 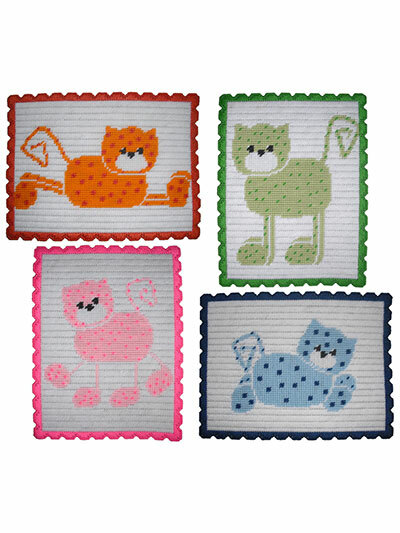 These whimsical 4-piece plastic canvas kitties can be the next cute additions to you home decor. 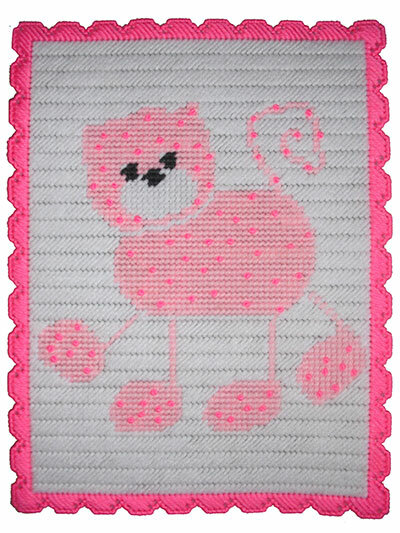 They are perfect for a nursery, a child’s room or to give as gifts. 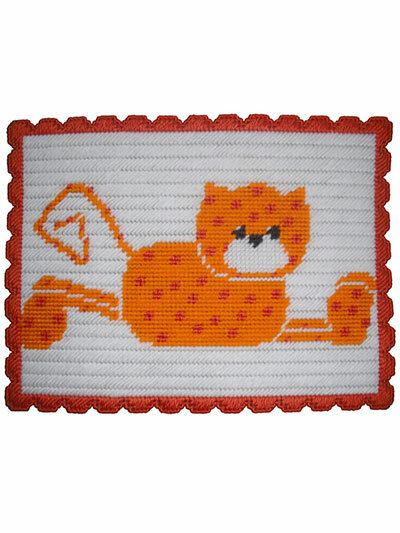 All are stitched on 7-count plastic canvas using worsted-weight yarn. 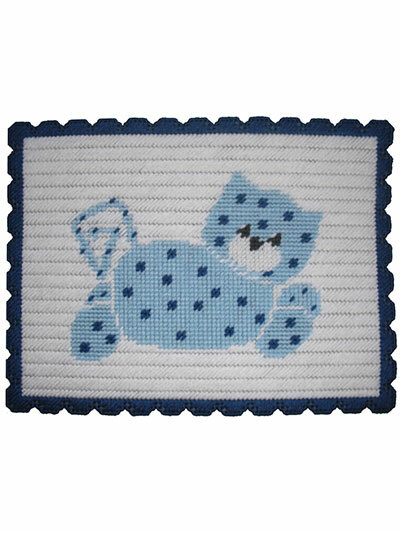 Size: 10" x 13".